Whether you're running errands on a Saturday afternoon or have plans to hit the gym, New Balance's Newbury Collection has you covered. This new capsule collection features an easy going jacket for cool commutes, a fun sports bra and a peek-a-boo back top that shows off the cute cut outs and detailing on the sports bra, a chic pair of functional leggings, and a sweet pair of Vazee Transform Graphic Training shoes. I've worn the jacket all over Boston; it's my new go-to for chilly mornings and weekend afternoons but my absolute favorite piece from the Newbury Collection are the leggings! I love the mesh paneling and faux leather panels. Something I've never seen in a workout legging before, and I absolutely love. I feel no shame wearing these leggings outside the gym, they look and feel amazing. 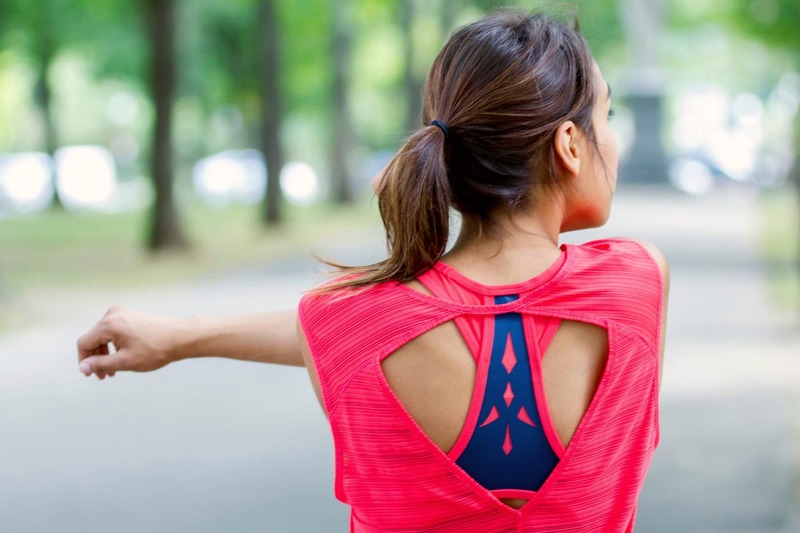 With all this new gear, who can resist a run along the Charles or a workout at The Handle Bar? Stop by the New Balance store at 583 Boylston to shop the Newbury Collection today! This post was created in collaboration with New Balance. I was provided complimentary styles for review and promotional purposes. All content and opinions expressed are my own. Thanks for supporting those who support Style-Wire.com!